Our Concord, New Hampshire Mitsubishi dealership is dedicated to providing exceptional service, and fair, honest pricing. When you purchase a Mitsubishi from Lovering you get the benefits of free NH state inspections for as long as you own the vehicle, $19.95 oil changes, and Mitsubishi's 10 year/100,000 mile warranty. Allow our expert sales team to assist you in finding your next Mitsubishi that best suits your needs. 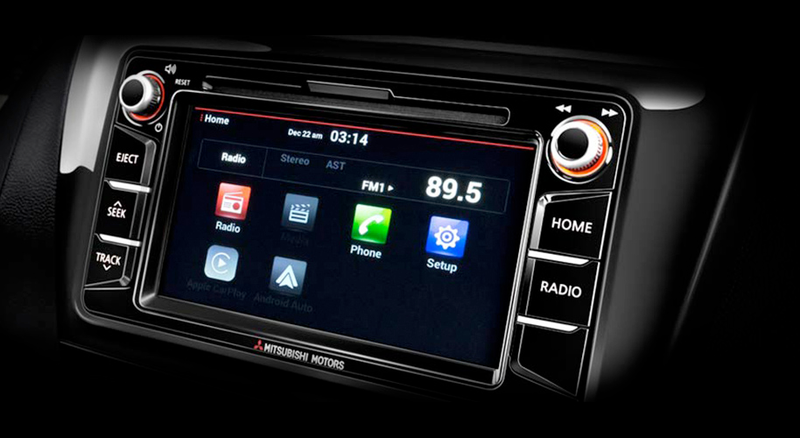 The available Smartphone Link Display Audio system gives you access to your smartphone apps and phone features like Bluetooth wireless technology all on an easy-to-use touchscreen display. TAKE FUN A LITTLE (OR A LOT) FURTHER. Use less fuel, spend less money and tell that gas pump you need some space. Compare Mirage's best-in-class MPG to the competition and see for yourself. Performance isn't all about accelerating. It's also about being able to stop when you need to. The Mitsubishi Mirage features four-channel Electronic Brake-force Distribution with Brake Assist, Active Stability Control and Traction Control Logic—all working together to give you superior traction and control. 6.5" Smartphone Link Display Audio System. Apple CarPlay & Android Auto Compatibility. 6.5" Smartphone Link Display Audio System with Apple. CarPlay and Android Auto Compatibility. FAST-Key Passive Entry with Push Button Start. Speak to one of our Mitsubishi experts and allow us to assist you in finding a new Mitsubishi model that will be the best fit for you. Schedule a test drive at your convenience and see how the Mirage handles New Hampshire's roads.